The blocks will be made with Squares and Triangles. January and February available on the side. 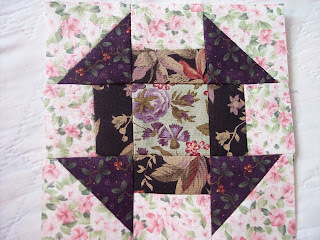 These are my blocks of the month for March, this is a classic quilt block and one that is so much fun to make. "Churn Dash" has been around for hundreds of years. Take a basic pattern and have some fun with color. Mix and match pattern sizes too. 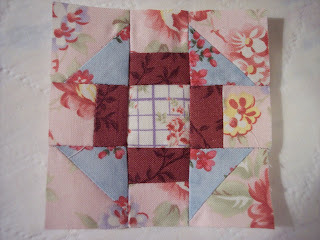 This is my 3" square, I've moved color around this block to make it look different. And this is the 6" block.